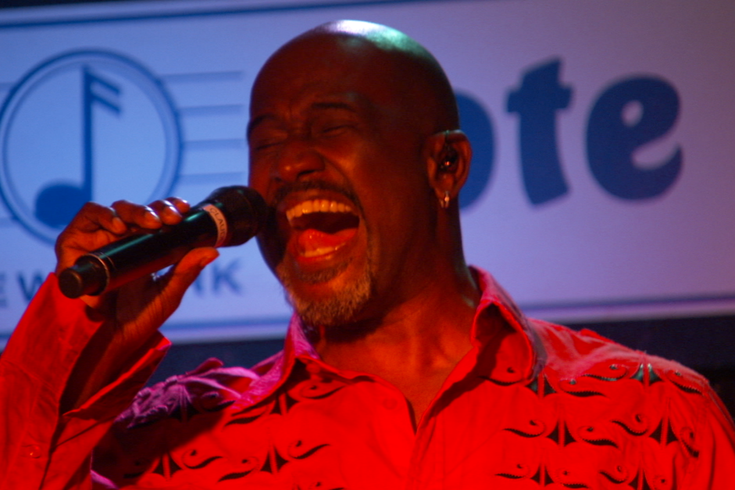 Claude V. McKnight III, part of an a capella group spotlighted in the docu-film, performs at the Blue Note in New York. As a young man, Martin Zied was sitting in the auditorium of the William B. Mann school, at a concert with his mother, when the singing voice of a sixth-grader cut right through him. So much so, he cried. "I was so embarrassed, had no idea why I was crying and didn't want to cry in front of my mother," Zied told PhillyVoice. "It wasn’t for years that I realized this kid had sung in such a tender, rich way that it moved me to tears. And it was the first time I realized the power of the voice." And yes, he means the literal voice. Zied is a native of Wynnefield who's won six Emmy awards for his documentary work; he's also produced television for "20/20" and "48 Hours." Through his career, he said, he's always been struck by the voices that carry his work. "Our voices can be so moving, and we don’t even normally think about it that way," he said. "I was thinking about the health of the voice — how the voice ages and all the things that can be determined just from hearing a person’s voice, like educational level, perhaps sexual preference and there are a million other things. Race could be another one. The film tackles subjects ranging from "Do we sound like our parents?" to how much our voice says about our racial or sexual identity, the science of how it ages to how we use the sound of our voice to manipulate through social interactions. Because this is his first solo feature documentary, free of contracts with major studios, Zied is still in search of funds to complete the project — $45,000 through crowdfunding. The crew is also casting a choir to sing during the end credits song of the film. To activate audiences, they're hosting a contest: Choirs from around the world can submit a video performance showing off their abilities; Zied and two other judges will then determine the winner and award a cash prize of $300. A release date and distribution for "Voice Messages" is still to be determined.